If you’re looking to add a few cheap accommodation days into your vacation so you can fit a better upmarket hotel into your budget somewhere during you trip like many travellers do, combining an activities day at basecamp along with an overnight stay is a great option. When most people think of budget accommodations they picture some damp old hotel or motel with terrible service and disinterested staff – that’s not what you’ll find here, we’re selling an experience. To be sure, this is no five-star stay. There will be no one exfoliating your follicles, rubbing you down with gold dusted jasmine oil, or fetching another 100 year old bottle of scotch from tree hut #3. But that’s ok! Tonight, It’s all about the experience. What is the overnight experience? Leading up to dusk, a fire will be built next to the river. At many points of the year, the fire is close enough to the water to throw enough heat and light to allow for night time swimming. Plop your chair down in the water, listen to some music and enjoy a few cold drinks with friends while the evening meal is being prepared. We’ll make sure your group is stocked with enough drink for the evening and you can take it from there. Crawl into a hammock and listen to the jungle come alive around you, maybe watch a thunderstorm build in the distance and read a book. Sit with your group and deal cards or play a few smart board games. Enjoy the night on a more personal, primitive level like it had been enjoyed for thousands of years before rebar and cement. Guests will be put up in one or more of the private, or dormitory style sleeping huts depending on the size of your party. 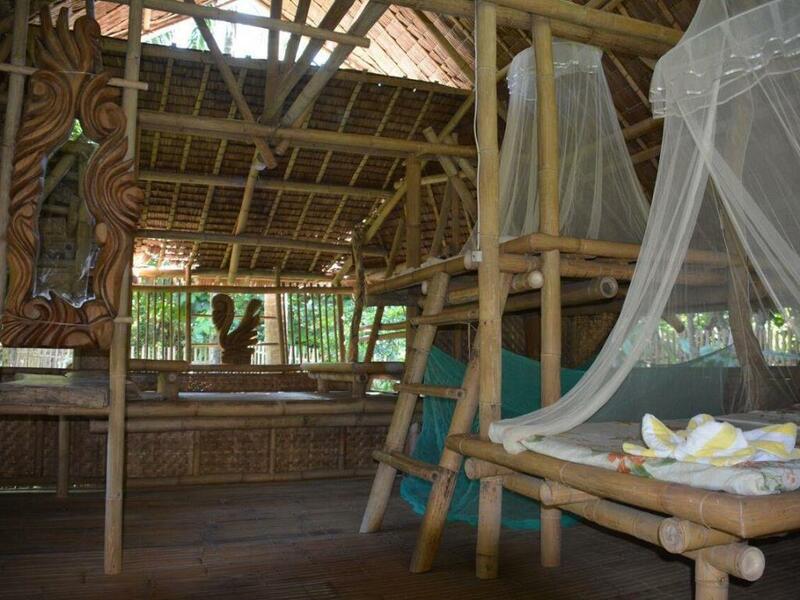 In these huts, there are several bamboo sleeping platforms. 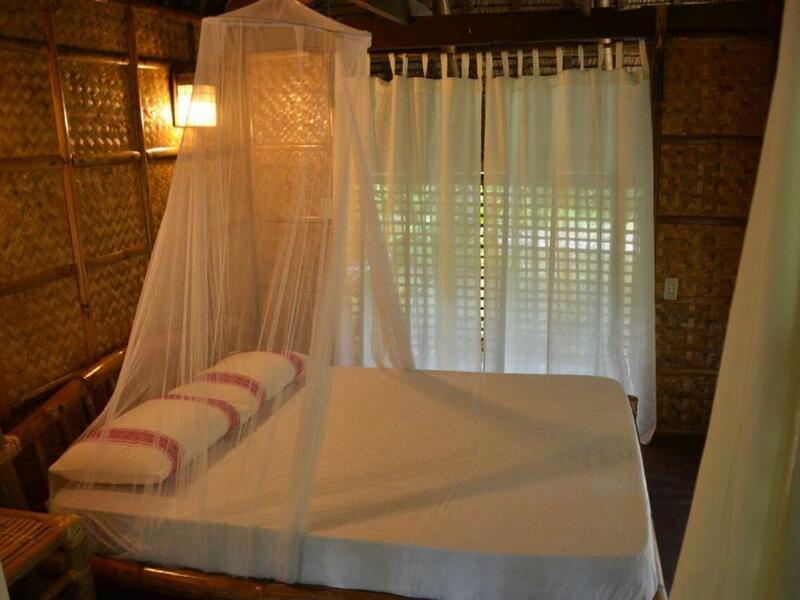 Each platform comes with a mattress, bedding, and a mosquito net. The sleeping huts have power so you can use the lights in the evening; recharge your gear, etc. The dormitory style huts are open air, meaning that while there are walls to bar access, there are no windows between you and the jungle. Should you choose to stay with us for a night or two, we look forward to making your stay as excellent and authentic as possible!